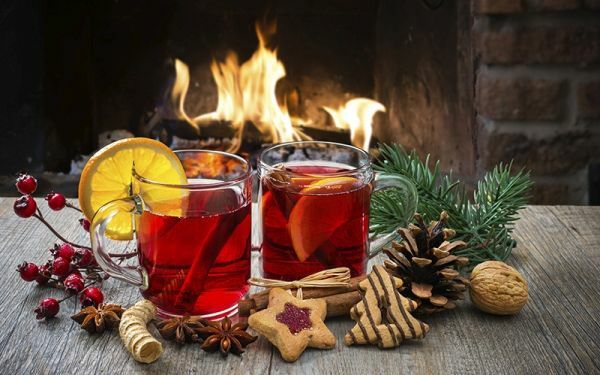 The German word “Glühwein” literally means “holly wine” or mulled wine. This is a traditional winter drink, which is sold in large quantities at European Christmas Bazaars. 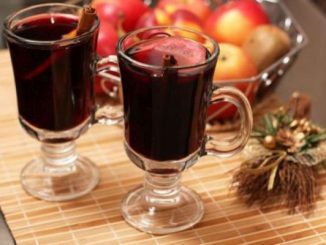 There are many recipes for the popular German mulled wine, but the principle is the same: make a syrup with spices and citrus and add wine. 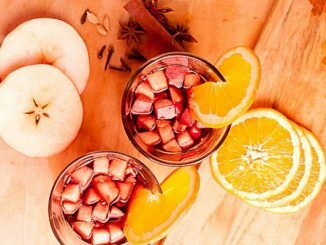 The classical recipe uses oranges, lemons, cinnamon, vanilla, nutmeg, cloves and dry red wine such as Cabernet. For an even better effect, you can add something stronger like rum or whiskey. Pour water into a thick wall container, add sugar, citrus corn grated, vanilla and other spices. Let the syrup boil and simmer on low heat for about half an hour. Pour half a glass of wine into the syrup and keep on the hot plate for another half hour. Add citrus juice and the rest of the wine. The mixture should shine for a few more minutes without boiling. Immediately pour the mulled wine into glasses.